Amid an escalating global trade war, the European Union and Australia have officially launched negotiations over a trade deal. 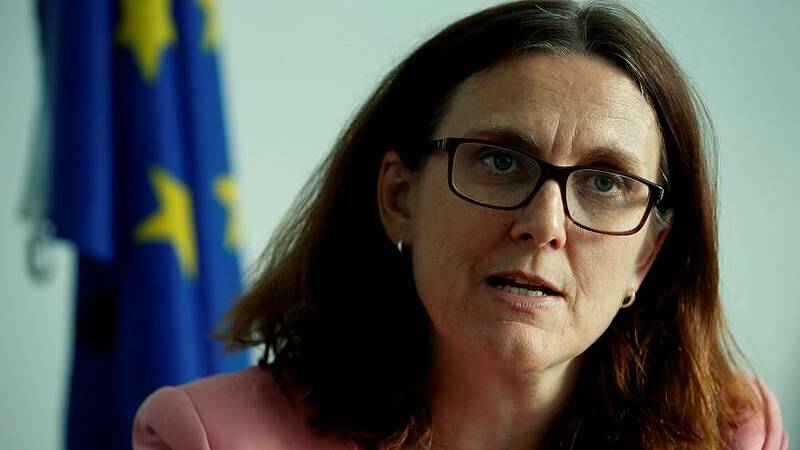 Cecilia Malmstrom, the EU's trade commissioner, arrived in Canberra to conduct talks with the Australian government with a plan to boost trade in goods between the two parties by at least a third. Last year 48 billion euros worth of goods were exchanged between Australia and the EU. Ms Malmström acknowledged that challenges lay ahead, especially in the area of agricultural products and so-called "geographical indications" (products from particular areas within the EU which have the exclusive right to use certain product names). The Australian government is seeking to remove barriers to its agricultural products reaching Europe, while the EU wishes to boost the export of machinery and equipment. They are negotiating to remove trade barriers at a time when the world's largest economy is putting up tariffs. Aluminium and steel imports to the USA face levies of up to twenty five percent from next month. The EU and China have retaliated by slapping tariffs on American bourbon in what is being dubbed 'a trade war'.